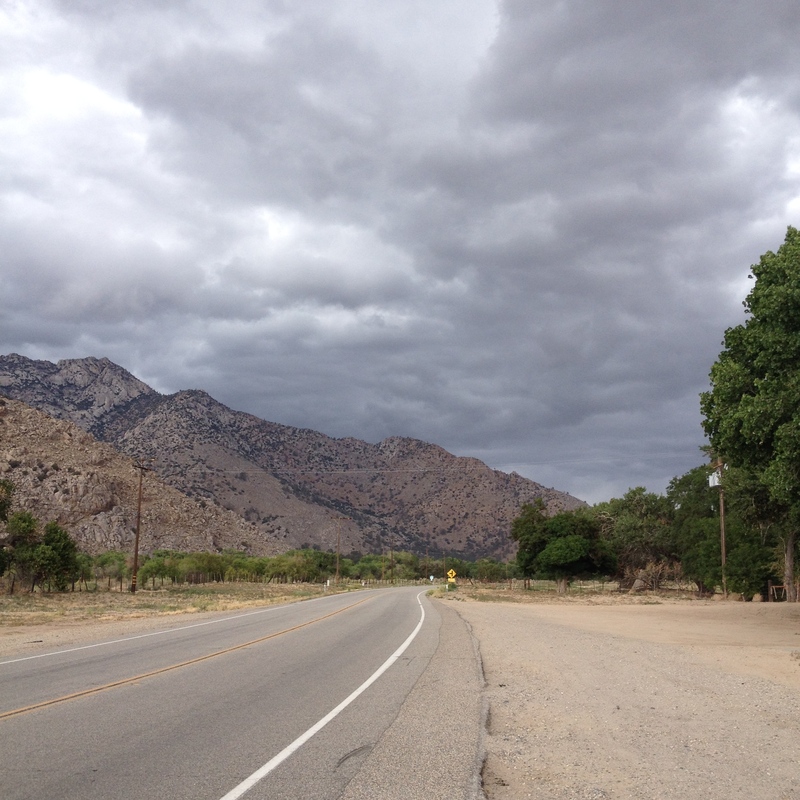 We never originally planned on going into Lake Isabella, but we did. We even took a zero day due to the weather. A storm was rolling in, and we had a hotel room. The whole hotel was full of hikers, and we stood outside together and watched the dark clouds and rain over the mountains. The next day was even worse, but Lingo and I were getting restless. More and more hikers were entering town and rumor was that the “herd” was coming. By the time our package arrived it was close to 5pm. Lingo, Rocket Llama and I went out to the road and stuck out our thumbs. 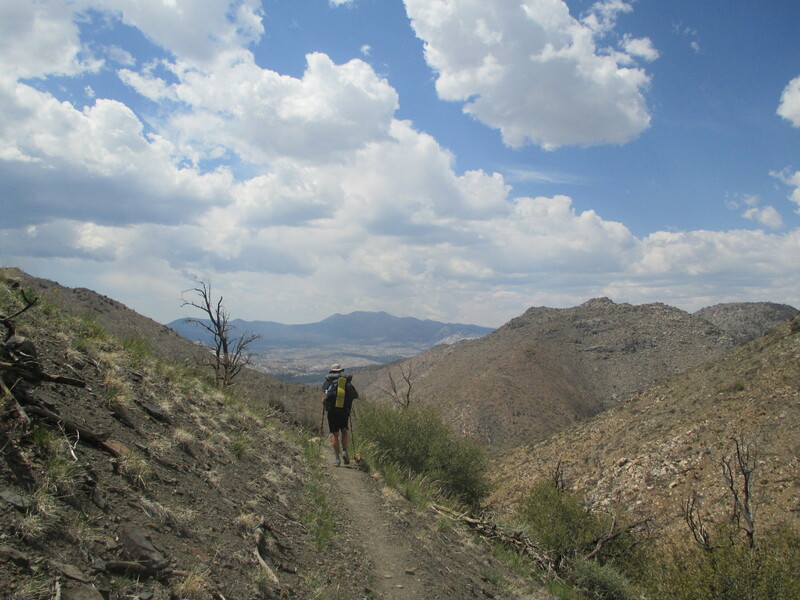 The goal was to get out of town and back on trail, not necessarily make decent miles (after all, it was already 5pm!) We were standing at the entrance to the freeway, wet from the rain, and car after car passed us by. One car in particular was full on “murder mobile.” It looked creepy, with duct tape holding it together, and no door handles. Rocket Llama was doing her Rocket Llama dance, hopping on one foot, thumb out, smiling. Her dance is silly and normally get rides, but we didn’t want THIS ride. “Not this one Rocket!” said Lingo. Too late. The car stopped. “What do we do?” I asked. We took the ride, and guess what? We didn’t die! He only took us half way, but we caught another ride that dropped us of at the trail. (We later found out that if we had hitched out the NEXT morning we would have gotten trail magic from Yogi doing a pancake breakfast at the road!) But we didn’t get trail magic. 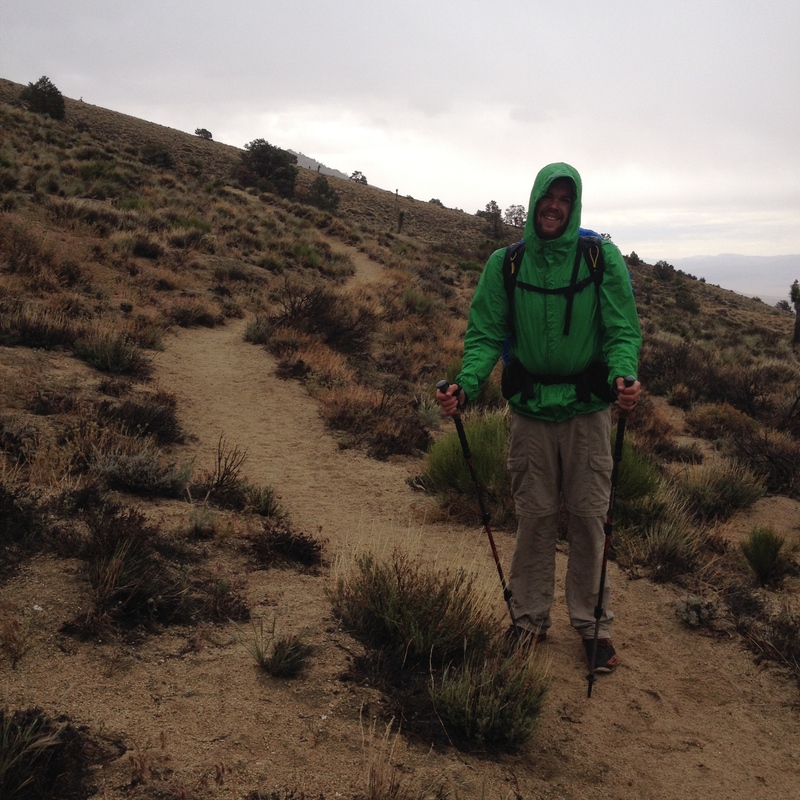 We instead hiked only 4 miles and camped with our trail friend Topo under some trees to avoid all the rain. It was very windy in this spot. The next day we were getting closer to Kennedy Meadows. 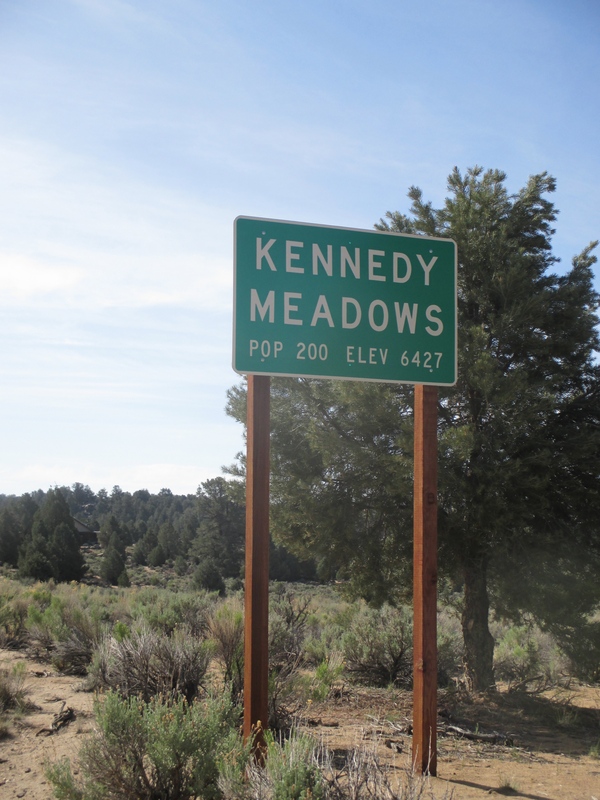 Kennedy Meadows is a big achievement. It’s the start of the Sierra Mountains! 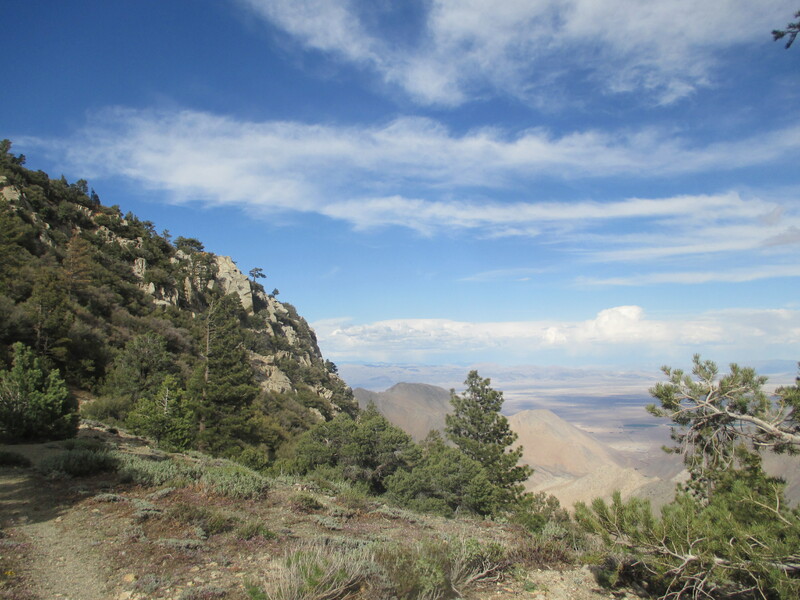 We’d be done with the desert (for now,) and hiking in the beautiful mountains, at high elevation, with plenty of water! I hurt my foot/ankle this day. It was the top of my foot, and it hurt with every step. I don’t even know how it happened. Perhaps it was because I was trying to walk really fast and stepped funny? That day I also was able to see a “Mojave Green” rattlesnake. I thought we were too north to see any, but there one was! Rocket was listening to a podcast about tattoos and set the snake off. She didn’t even notice him! She managed to have passed the snake, leaving the snake rattling in the middle of the trail, with us stuck behind it. “Whoops! Sorry guys!” she chuckled and kept hiking. This snake was very angry. 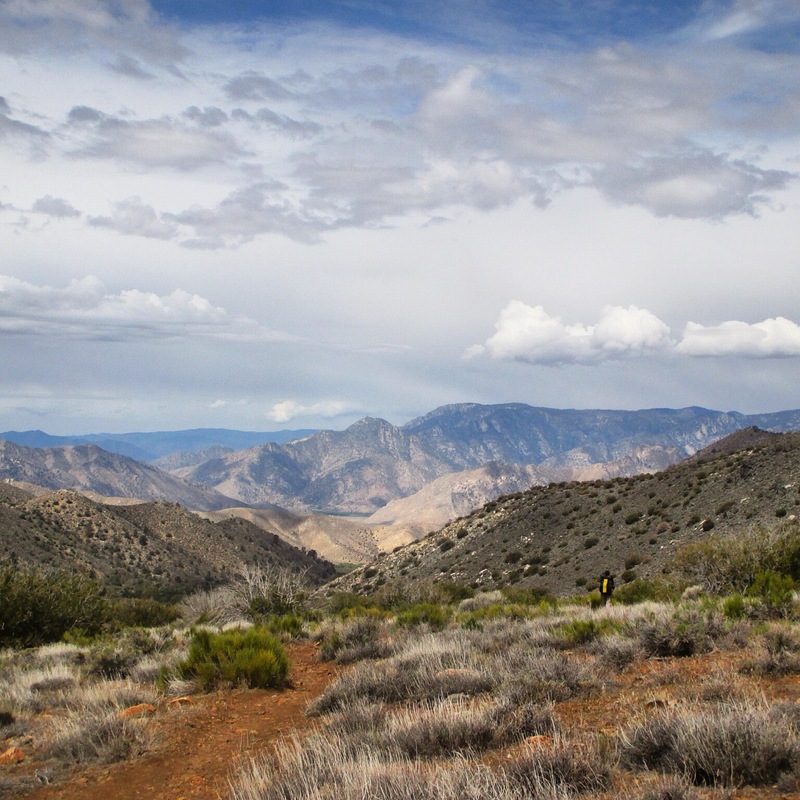 We heard that Mojave Greens can lunge and are more aggressive than other rattlesnakes. We ended up having to hike off the side of the mountain to pass it. By the time we caught up to our friend Hog he had set up his tent near a river. We camped with him again that night. We were very close to Kennedy Meadows, about 3 miles short. Rocket pushed on that night but my foot was aching. 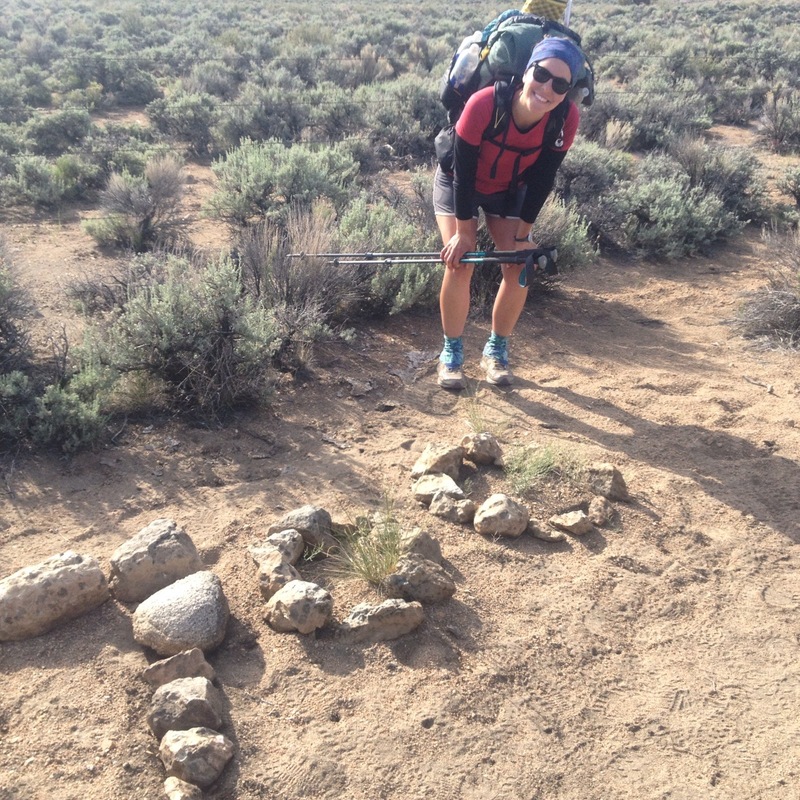 We hiked the last few miles the next morning and hit the 700 mile marker! We arrived at Kennedy Meadows around 8am, just in time for some coffee! 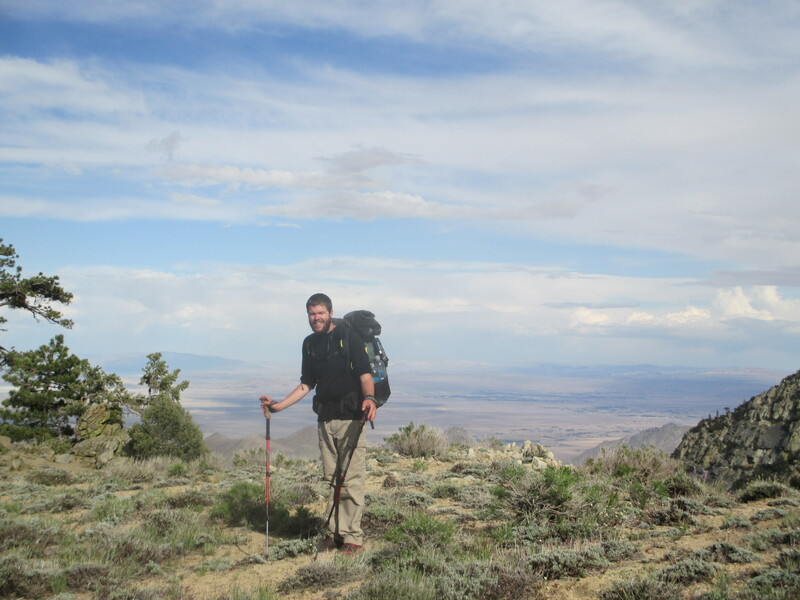 Sugarpine feeling proud of 700 miles!